Get $20 Off Select Sympathy Flowers. No Code Required. Aren’t flowers beautiful, and shouldn’t beauty be shared? Yes and yes. Just Flowers lets anyone stop and smell the roses with a bountiful selection from their garden of products for any occasion. Pluck one of our Just Flowers coupon codes to match your order, and let them deliver the message that you care. A rose by any other name would still be delivered fast and fresh by Just Flowers. Bringing bouquets, baubles, balloons, baskets, and bon-bons are what they do, and no one does it better. Whatever the reason, a gift of flowers is just plain sweet, thoughtful, and kind. The scent of their wares in bloom almost waft off the page as you tour JustFlowers.com. Impossible, of course, but wouldn’t that be lovely? What is lovely is their amazingly diverse selection of gifts and flowers. Roses, Lilies, Daisies, and Orchids are just a few of what you can mix and match in an endless variety of arrangements. They also offer many non-blooming plants that don’t smell as sweet, but are beautiful, nonetheless. Just Flowers does a whole lot more than their name implies. They have Teddy Bears. They have cookies. Their gift baskets come filled with almost whatever you can imagine: gourmet meats and cheeses, Laura Ashley spa items, regional wines, Starbucks samplers – you really have to check it out to see how much they have available. Be it Birthday, Anniversary, Valentine’s, Sympathy, Get Well, or Wedding, name the occasion and Just Flowers has just what it calls for. Smooth and hassle-free ordering and delivery is their specialty and has put them on top of the online flower game. Place an order and it can be where you want it to be in as little as four hours. That’s quick. Just Flowers gives you many options when it comes to when you want something delivered, based on your needs. Be as specific as you like and they will do their best to make it happen. Just Flowers Inc. has been serving their customers for over 16 years. With their preferred gift basket vendors and floral suppliers worldwide, you’ll experience the highest level of service and satisfaction. You can call or contact them any time if you need help making a selection, and their trained specialists will guide you through the flower selection process. There’s an occasion coming up soon that Just Flowers would be perfect for. Check your calendar and figure out what it is. Send a wonderful gift, save money on it with a Just Flowers coupon code, and show someone what a great person you really are. JustFlowers.com offers a wide variety of flower arrangements and gifts for many occasions all year long. You can redeem JustFlowers.com coupons for discounts on select purchases. There are always amazing Justflowers.com coupon codes to use to save on gorgeous flower arrangements, gift baskets, plants and more. If you have a Just Flowers coupon code, here's a step-by-step process on redeeming your offer. Once you identify a deal you want, just click it. This page will automatically redirect to Justflowers.com and a new window with the code will pop open. Highlight and copy the Just Flowers coupon code in the new window. You'll need this code at checkout, so keep the window open in case you need to copy the code again. Find the products you want to purchase, fill out the destination criteria and click on "Proceed to Secure Checkout." Enter your personal information including your name, address, and billing details. 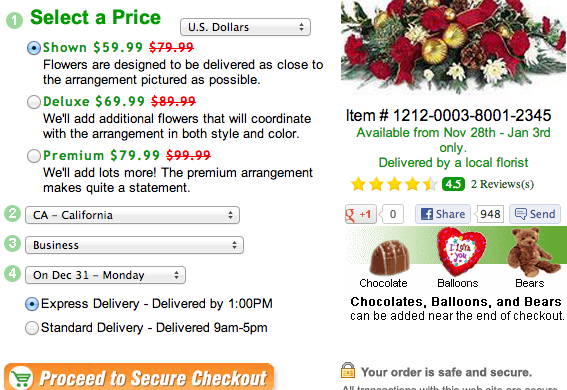 Then enter your Justflowers.com coupon code in the "Special offer code" field at the bottom of the page. Then click on "Continue to Order Preview." 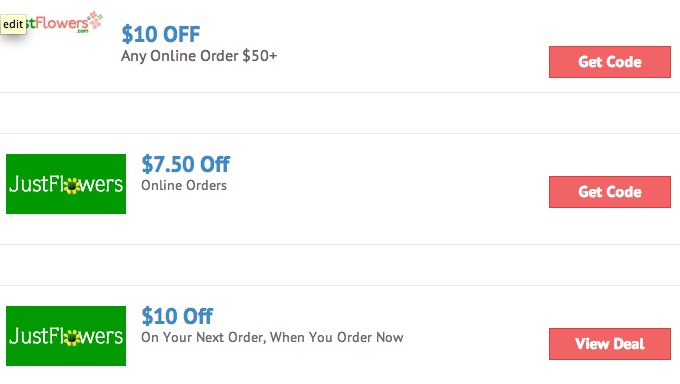 You should see the promotion or discount applied to the price when you get to the preview order page. 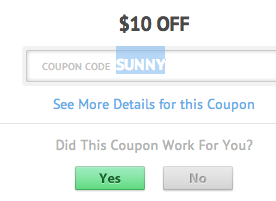 Confirm the discount, preview your order, and then submit the order.